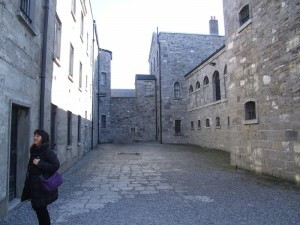 The Kilmainham Gaol is one of the most significant buildings in the history of the Irish state. Constructed in the 1780s and abandoned in 1924, the Gaol has held patriots, Famine sufferers and political prisoners alike. The prison was threatened with demolition, but a society dedicated to preserving the site has restored it and turned it into a museum. Before the official tour guide, there is an opportunity to browse the museum. Attractions here include a list of people sentenced to prison during the Famine, and an interactive guide to capital punishment. Visitors can even vote on whether they support capital punishment or not; 43,150 people support the death penalty, but 47,754 do not. The tour guide begins with an introductory slide-show of the gaol, followed by a look at the downstairs section of the Victorian or East Wing. The food was boiled in the kitchens here, and the heat from the kitchens rose through a hole to warm the prison section. The upstairs part of the Victorian Wing is where people like Éamon de Valera, Michael O’Hanrahan and Grace Gifford (who married Joseph Plunkett) were housed during their tenure at Kilmainham. In the dungeon where Robert Emmet was held before his execution, an unsung heroine was also held there – Anne Devlin. She was Emmet’s assistant during the 1803 Rebellion, but she refused bribes, withstood torture and endured appalling conditions to protect the identities of several rebels for her entire life. She died in obscurity in the Liberties in 1851. 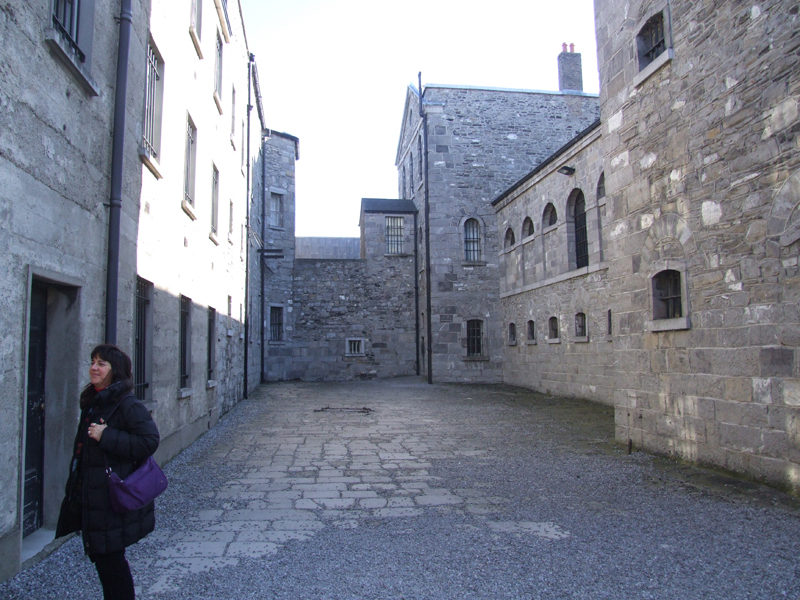 The final part of the tour takes place in the West Wing and in the courtyards where the 1916 rebels were imprisoned and then executed.